I’m going away for a week (the Berkshires — nature, yecch) and I only have time for a brief post, but I’m really excited by these shows. The best contemporary art in NYC right now can be seen in Bushwick, all in one building — 56 Bogart. 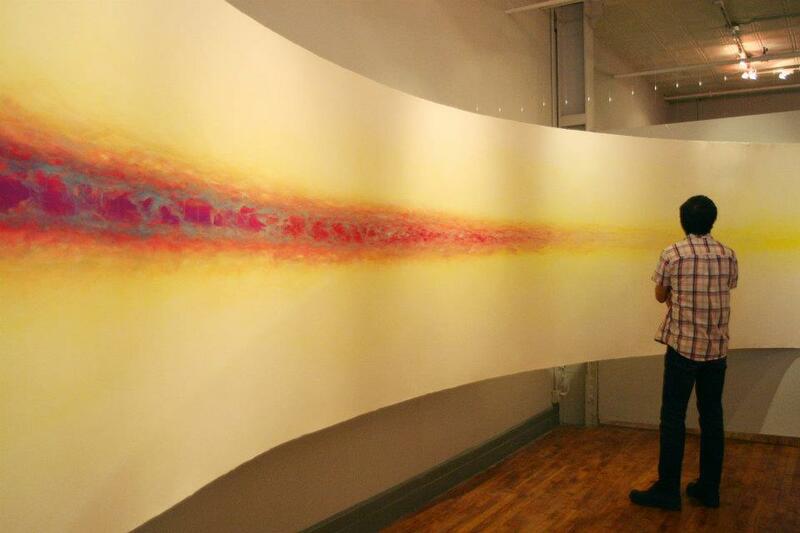 Bogart Salon is exhibiting breathtaking wrap-around colorfield paintings by Shingo Francis. Shingo Francis, Bound for Eternity, 2012. 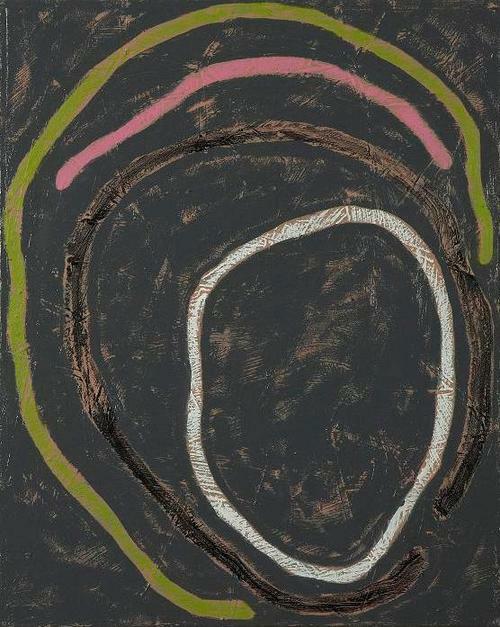 Theodore:Art has one of the best shows of small abstract paintings I’ve seen in a long time. It includes work by such well-known artists as Harriet Korman as well as several vital looking newcomers like Chris Baker, Mel Bernstine and Gary Petersen. 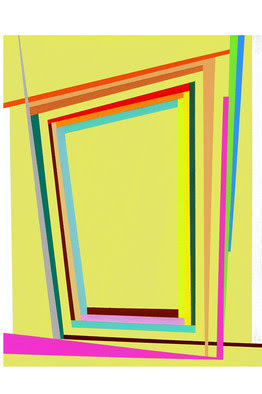 Gary Petersen, Untitled S5, 2012. Studio 10 has a group show, another in a series of excellent group shows. 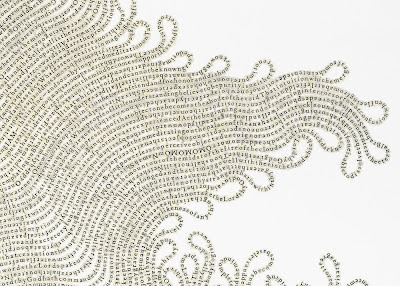 This one is called Text, and it consists of work that relates to the written word and the materiality of paper. It includes work by John Avelluto, Mary Carlson, Audra Wolowiec and Meg Hitchcock who has some of the most intense paintings you’ll ever see. 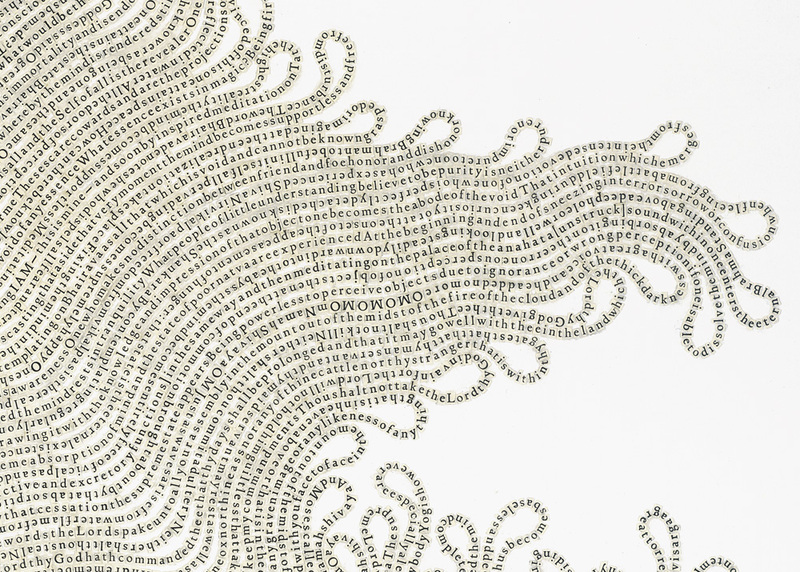 She cuts up a text, letter by letter, usually from religious books, and reassembles it, letter by letter, to form a passage from another religious text. The painting below isn’t in the show, but it’s representative of her work and is the best reproduction I was able to get. Finally, Slag Gallery is showing installations by Claudia Chaseling, one of the most exciting new artists to come on the scene. Chaseling spends half her time in Germany and half in Bushwick, and she’s been doing these powerful, exuberant and somewhat disturbing works in both places. 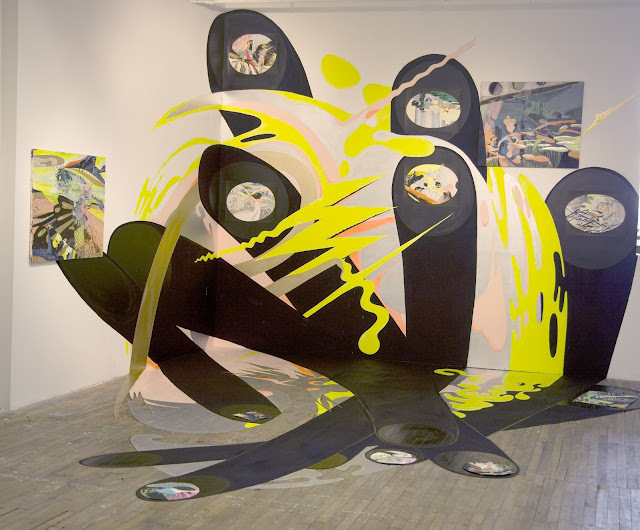 Claudia Chaseling, INFILTRATION, 2012 - installation view. DO NOT MISS THESE SHOWS IF YOU CAN POSSIBLY HELP IT! Oops! I fixed it. Thank you.